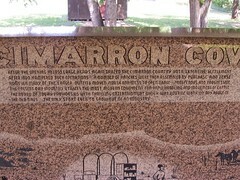 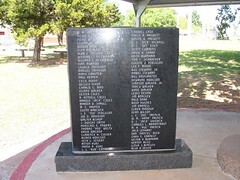 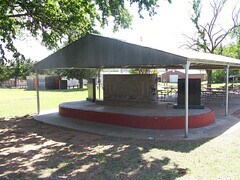 * Located in the downtown park, this fifteen foot long red granite monument was erected by the people of Freedom to commemorate the old cowhands who helped to settle the Cherokee Strip. 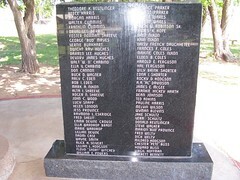 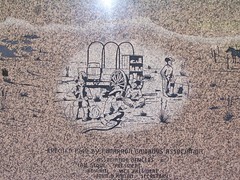 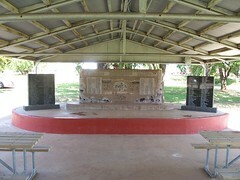 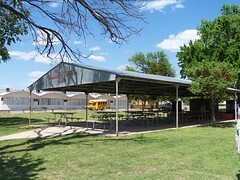 It is inscribed with the names of persons who made their contribution before, as well as after this rugged grazing country was opened to homesteaders. 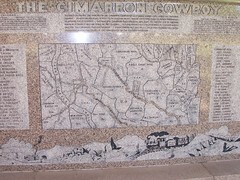 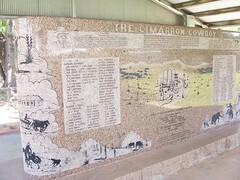 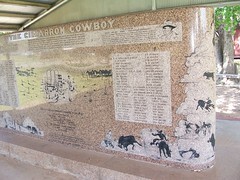 Maps and drawings of the region are chiseled in the stone which portray the early day cowboy and the environment in which he worked and loved so well.